One of the perks of doing what I do, is that sometimes I get to interview some remarkable individuals. This week I had one of those experiences. 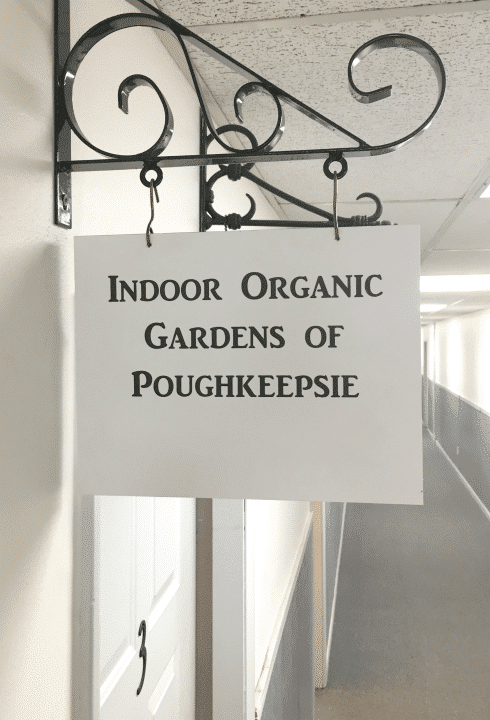 I had a very unique opportunity to spend about an hour interviewing one of the pioneers in the indoor organic micro-greens farming industry from Indoor Organic Gardens of Poughkeepsie named Brud Hodgkins. After over 20 years as a chef who is passionate about childhood education, empowerment and nutrition, it is still awesome to connect with someone who shares that same vision. As the daughter of a greenhouse manager and Master Gardener, I relish the opportunity to bend the ear of an urban farmer. In full disclosure, Brud's company reached out to me to see if I would be interested in sampling their products for this blog. As a chef who has used micro-greens extensively as an Executive chef in a French bistro as well as catering venue, I already was a huge fan of what they could do for any dish. Add to that, the desire to continue to incorporate micro-greens in my at-home cooking, this seemed like an ideal marriage of product use. They are not paying me to endorse their products. They're just giving me some greens. So, I will be sharing their stuff here on my blog. Don't let that freak you out. I'm always trying to share good nutrition with y'all. I think this is pretty daggum interesting to hear about. This is what I found out about this amazing food source and this indoor farm. First of all...Brud explained that his crop is farmed exclusively indoors using a commercial property that was sitting vacant after the downfall of one of the neighborhood retail marketplaces. In a seventeen thousand square foot facility that originally started out as a K-Mart-type store, they're using this space to produce a powerful nutrition source in the middle of the city. At the first mention of this, my mind actually starting racing, thinking of all the vacant buildings in my own town that could easily be converted to such a use. It was a brilliant use of space, not to mention providing clean food and employment opportunities to the "at risk" segment of society usually found in the parts of the city he is focusing on in Poughkeepsie. In fact, just before our meeting, Brud had been meeting with some local high-functioning autistic teenagers who would be coming to work at his farm. This of course, got us talking about the need for education of children in the school system. Micro-greens are sweet and nutrient dense. They are easy-to-absorb nutrition...and one of the simplest things to get kids to eat. For example, cabbage Micro-greens have 260% more vitamin A than fully grown cabbage, and they don't taste like cabbage. They taste sweet. That's just one of many examples of the powerful punch of nutrition in micro-greens. They grow to mature micro-status in just a few days! Why wouldn't we teach kids how to grow these? They want to eat them because there's ownership. Well...Brud is doing that. They're launching local school STEM programs teaching kids first hand how to grow this crop...and they're giving them the power to be able to grow a crop that is financially sustainable. So here's the skinny on Micro-greens. 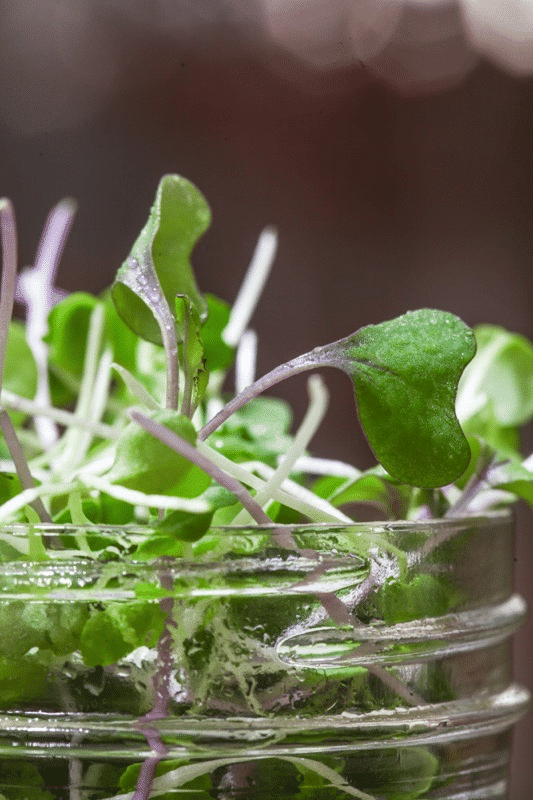 Microgreens are older than sprouts, but younger than baby vegetables. Almost any edible vegetable or herb can be enjoyed as a microgreen, such as lettuce, radish, basil, beets, celery, cabbage and kale. 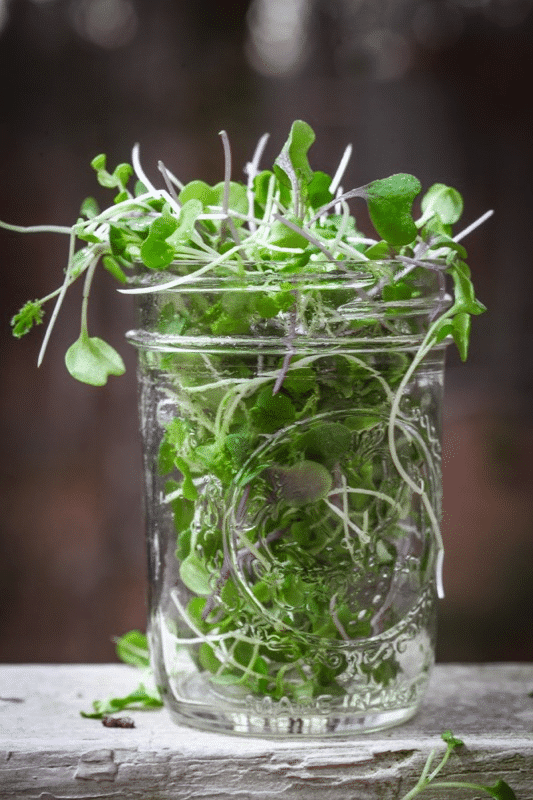 Many microgreens are four-to-six times higher in vitamins and antioxidants than their adult forms and can provide a nutrient boost in just a few calories. Raw, as an addition to a salad. Drizzle with a little lemon juice or low-fat dressing or eat them on their own. As a garnish to meals. Add them to your breakfast plate. Top fish, chicken or baked potatoes with microgreens. Added to a sandwich or wrap. Sprinkled into soups, stir fries and pasta dishes. Blended into a fruit drink or cocktail. If you grow your own microgreens or purchase them in soil, snip the healthy stems and leaves above the soil when they are seven-to-14 days old. Eat them fresh, or store them in the refrigerator. Selections may change from time to time so keep an eye out for your favorites. Once cut, they can last in the refrigerator for five-to-seven days, sometimes longer depending on the type. As for me and Brud Hodgkins, we are clearly on the same page regarding organic plant based nutrition, clean food, providing opportunities for the "at risk" segment of society, environmental Awareness, etc, etc. They at IOGP are working toward the Financial Sustainability end by spreading the word so folk's know there is a Source of Nutrition Dense Vegetables within 24 hours of Harvest to fill their Personal and/or Commercial needs. There you go. Awesome Micro-greens. Great Brand. I'm a fan.